Deft Linux 8.0b is out and it’s looking great. A month or so ago I did a walk-through of some simple computer forensics using Deft 7 Linux (Carve and Sift: My Primer to Linux Computer Forensics). There have been several other versions of this distro to come out since then, but now that the beta for 8.0b has been released publicly, it marks a slight shift in the way Deft handles. While my previous guide is still valid, there are a few additions that really place this version above its predecessors. Now, I’m not going to go through every change, you can do that by going to their website, but there are some really neat features that I’d like to point out. The first thing that will hit you when you start Deft 8.0b is the new layout. While the base operating system is still Ubuntu (Lubuntu to be precise) the LXDE desktop has been further customized from its 7.x version and now looks and feels like its own OS rather than a 1-off from an Ubuntu derivative. 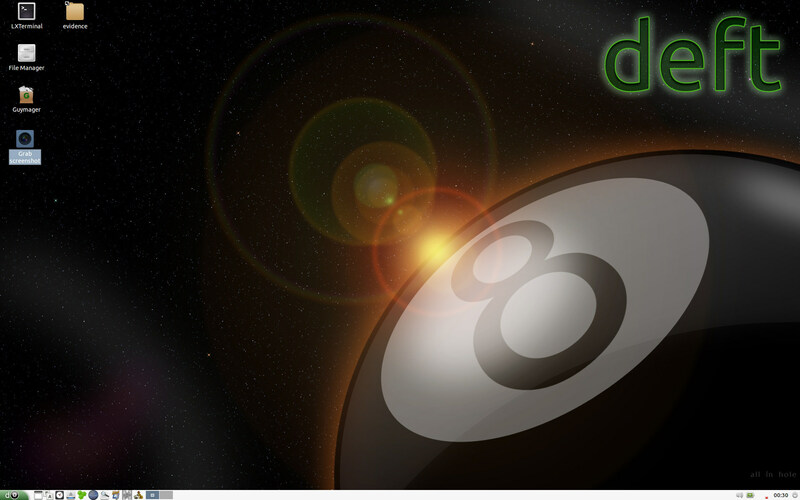 The menu is themed for Deft 8.0 with a little 8-ball and more icons have been added to the bottom panel. The Desktop is more reserved and better organized. The desktop still has the LXTerminal (a must) and the evidence folder, but gone is the “Install” option. Since this is a beta version it is unclear whether this is gone forever or if it will be back later. 8.0b is certainly installable as the boot menu attests. 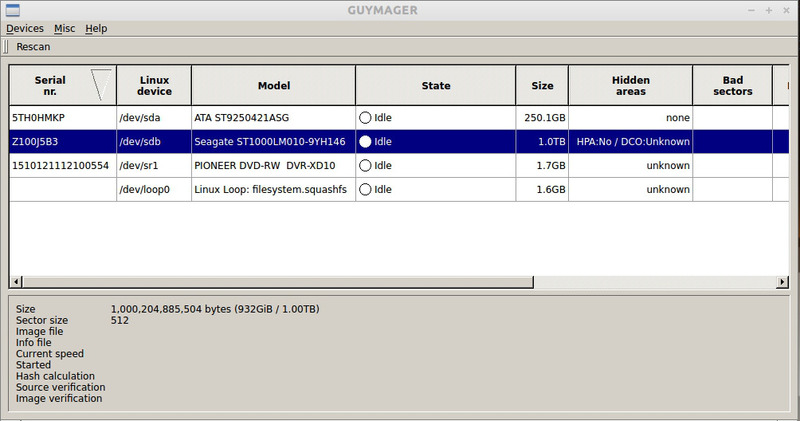 Guymanager, a very nice disk managing/imaging tool, has been added as well as the file manager for quick access. You’ll see in my screenshots that there is a “Get Screenshot” icon on the desktop, but that was added by me for this article and is not default. The menu panel is almost entirely new, with only LxKeyMap being carried over with the standard desktop selector. There is a whole host of new software moved in, some from previous versions of Deft but were housed in the menu (like Autopsy) or on the command line. All-in-all this is a good move, as the most used programs are put front and center and the more specialist and less-used are in the easily navigable menus. GuyManager is a welcome addition to Deft 8. Deft 8.0b brings a lot of new software to the distro by default and the latest versions of most of it. This version is 64-bit only, and able to work in up to 256TB of RAM. Previous versions could only “see” 4GB because of the 32-bit limitation. Cyclone is now at 0.2 and appears to be mostly the same as before. I’m assuming the changes are back-end. Skype Xtractor is also new and is probably my favorite addition to Deft 8. While I’m not a criminal investigator, and I’m generally only using the distro for file-recovery, its future utility could be invaluable. Skype Xtractor is a command-line program that extracts the tables from Skype’s main.db and chatsync files and outputs them to html. So far, you can only get it on Deft 8, but it’s so useful I can’t imagine that it won’t show up elsewhere. SciTE is a recently added text editor and is the sole resident of the new Programming menu. Almost every other piece of software has gotten an update since Deft 7 and some have been given GUI front-ends, which is nice for beginners or those not terribly familiar with Linux command-line. The focus on 64-bit architectures with this version will mean that it probably won’t supplant my use of Deft 7 completely; there are quite a few machines in use out there that are single-core systems. If you’re familiar with Deft 7, then I’d recommend getting 8 and using it on your 64-bit machines when able, since everything that was in the previous version is in this one (even though it’s beta) and better. Switch back to 7 only if you have to do so. 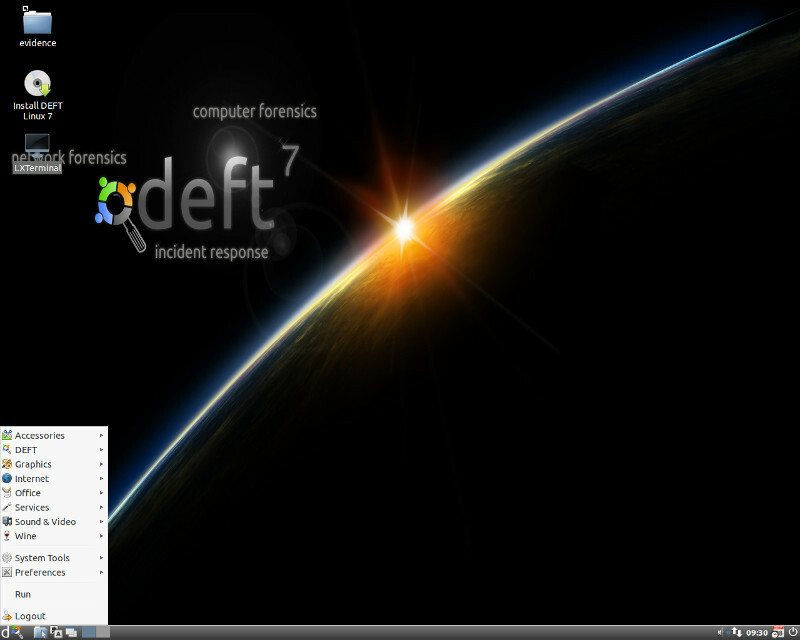 However, if you’re new to computer forensics then I’d recommend sticking to 7 or waiting for the official Deft 8 release which should be very soon. Whether you’re needing to create your own security camera, or you’re wanting to set up an always-on web video, having constant, recorded video feed can be useful. It’s even more so if you can access it while you’re not at home, say, over the internet. 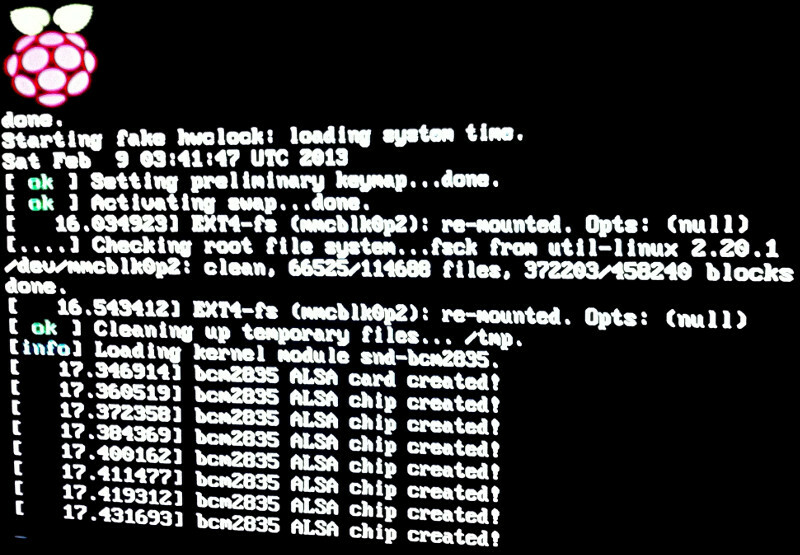 That’s what I did a few weeks ago, with an old computer (Crusher) that I’ve been using as a file server. Now it’s pulling double duty as a constantly-streaming video service that broadcasts over the internet. Now, this setup is quite simple, and as such has a few drawbacks. There is no security implemented in this guide, though that can be done fairly easily afterwards. There is a little bit of upkeep, and it doesn’t do everything on its own (such as file cleanup). On the flipside, it’s not very resource intensive, records everything, can be set up, sent off and running in an afternoon and is extremely stable. I’d also like to mention that it’s dirt cheap, as this can be put on almost any machine made in the last decade. If these strengths and weaknesses sound like what you’re trying to do, here’s how to put it together. A PC with at least one free USB port. Ubuntu Linux 10.04LTS or later installed. Access to the internet (from the PC). A Router that can support Virtual Servers or Port Forwarding. The USB port can be 1.1 or higher. 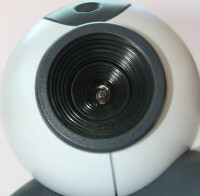 Most webcams don’t push through enough data to really need the higher speeds. Though if you did get a higher-resolution webcam, then make sure you’re attaching it to a port that can handle the load. This old Dell Optiplex GX1 is enough power to run both a Linux fileserver and webcam server. In my case, I’m assuming that you picked up a really cheap webecam. For my purposes, I chose the Logitech C200. Everything Logitech is pretty much plug-n-play (ie “It just works”) with Linux. You can pick up that cam for about $12-20, but there are even less expensive ones out there that will function just as well. 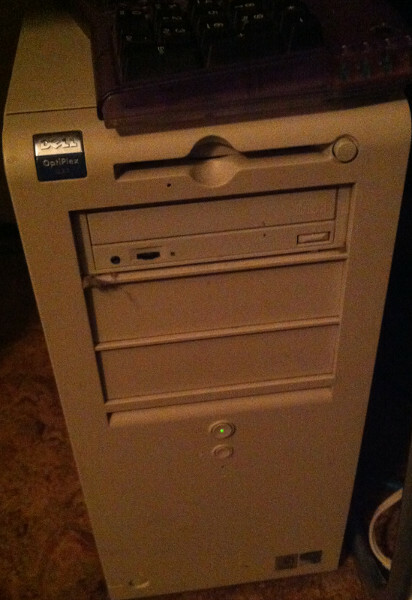 The PC that I’m showing you this on is a very old one (Pentium 3-era) with about 512MB of RAM and running Ubuntu 10.04 LTS (server repositories). Now, 10.04 is out of date as of this writing, but I’ve since migrated the repositories over to the sever versions. This guide will still work on 12.04, as I tested it on that system as well, but for the sake of consistency, I’ll be showing you everything from my actual server’s view. The router needs to support port-forwarding or virtual servers for you to be able to get to it from the internet. If you’re not worried about that, then you can ignore this requirement. Most routers support this anyway, so you’re probably fine. In either case, your “server” will need to able to access the internet. Bus 001 Device 002: ID 046d:0802 Logitech, Inc. The Logitech device is being registered by the system. If you don’t see your device here, then you’re most likely looking at a hardware issue, as Logitech uses the standard uvcvideo drivers and software-wise sets up very smoothly. If you’re not using Logitech and you’re not seeing your device here, then you’ve got some troubleshooting to do. Next, we’ll need to find out where in the system our camera is mounted so we can point our software to it. Use the following command to see where your usb device is currently mounted. Basically this command lists all the devices connected to your system, then sends that to the grep tool which in turn filters everything out but devices with the word “video” in them. Then we’ll go to the configuration file and edit it, so we can point motion to our webcam and maybe edit a few options. First I’ll copy a backup (in case we goof) and then we’ll edit the original. You can use either nano or gedit, depending on your preference. I’ll use nano, because it is low-resource and Crusher is an old computer doing a lot of stuff. Again, we’ll need to act as a superuser to do so. In here are a lot of options, and some you’ll probably want to tweak at a later date. Right now we’re just interested in getting this thing rolling and we don’t want to get bogged down in the details. We’re looking for a line labeled “videodevice” under the “Capture Devices” heading. It should be pretty close to the top. Save the file and exit the editor. Again, there are lots of options in here (including password protection) but we’re not interested in that right now. We just want to get a simple webcam server up and going, though I encourage you to come back and tweak the settings, or at the very least see what you can do with this program. Now, you can run motion by simply typing “motion” at the command line. 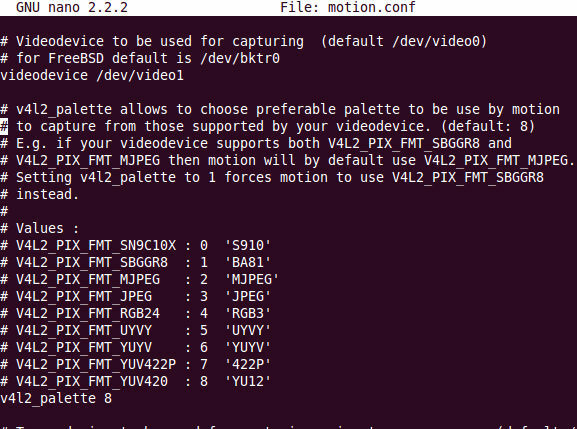 Remember that motion stores video streams as .jpgs and uses the folder you run the command from to store the files. This can fill up smaller drives very quickly. My method to deal with this is simple, but isn’t elegant. I navigate to the Trash folder and run motion from there. Then, when I want to clear the files, I just log in and empty the trash. But, if we’re away from the building with the webcam, that’s not very helpful. We want to be able to access our server from anywhere in the world. So, we need to set up a method of getting to our home machine from elsewhere. First, we need to forward the appropriate ports so we can see the video stream. Motion, by default, uses only the one you saw before: 8081. We just need to get our router to connect the dots between any connection that comes in from the internet on that port, with our server. This is what mine looks like, but they’re all a little bit different. Go into your router’s settings page, in my case it’s an Arris modem/router, and go to the Firewall/NAT page (or something like it). Look for “Port Forwarding” or “Virtual Servers”. Select that you want to “Add New”. Use the 8081-8081 range for both incoming and local ports and then put the local PC’s IP address that we got with the ifconfig above. The description can be anything. 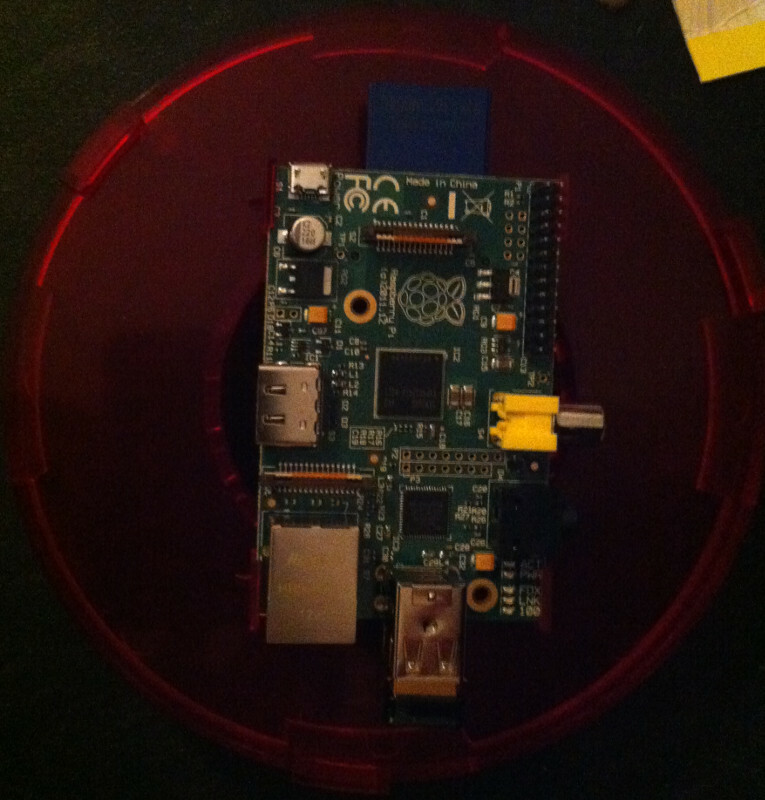 Now, if you go outside your network, you can put in your own home IP address with the :8081 on the end and connect to your webcam. 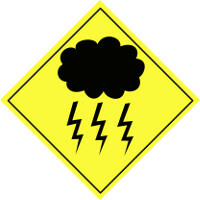 If you don’t know your outside IP address go to a site like WhatisMyIP.com and it will tell you. Again, this is all well and good, but your IP can change, and even if it doesn’t for a while, that number is hard to remember. So, as our last step, let’s make this more human-readable and dynamic. We’ll go get a free dynamic DNS account and use it to redirect traffic from a more user-friendly name. Keep in mind that while useful, this is still an option and you can still use the IP web address [Your Outside IP]:8081 to get to your webcam. 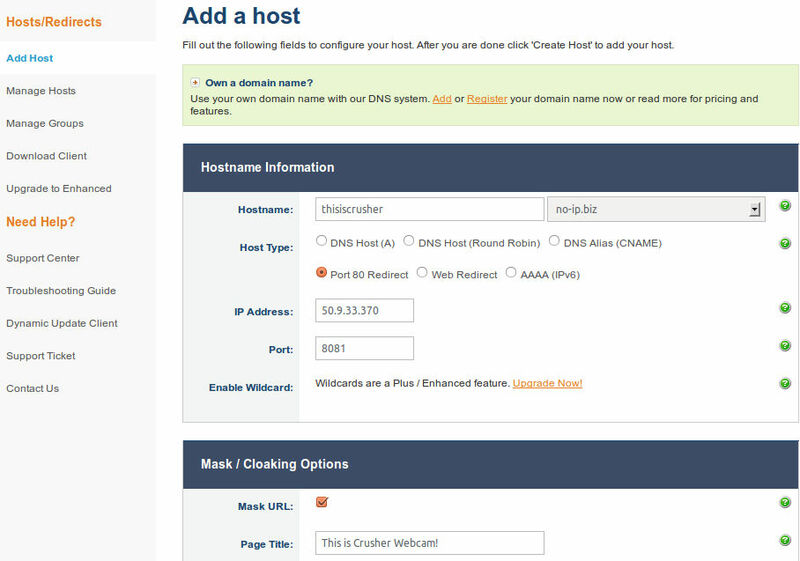 This is approximately what the Dynamic DNS redirect setup should look like. Set it to a port 80 redirect and that you want it to connect to port 8081. You can also mask the URL if you want, but I’ve found that rarely works. Add the host and you should be good to go. Now pointing any browser to your no-ip domain name (without the :8081 on the end) will pipe you from anywhere to your webcam server. And that’s it, you can go to any computer that has internet access and see what’s going on wherever you set up your webcam. *I chose NoIP because they have a Linux software package that will update the IP your redirect is associated with automatically. 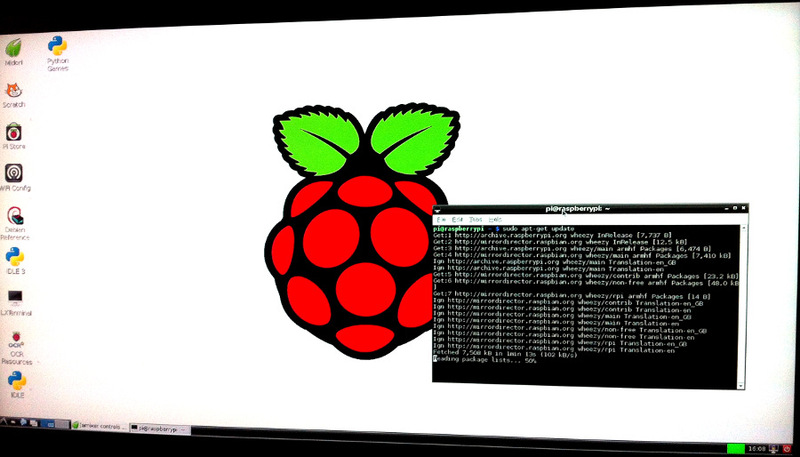 Eventually, your IP is going to rotate and it’s nice to have that piece of software watching that for you. See their page for instructions on how to install it. I was rummaging through some old software of mine a few weeks ago and taking stock of the old operating systems that I had commercially. I noticed that along with some older versions of Redhat and Ubuntu Server, I owned every version of Windows since 95, including quite a few server versions. I wondered what I could possibly do with them, since I don’t even use my store-bought copy of Windows XP anymore. Then I looked at my new Galaxy Note 10.1 tablet and got an idea. I wondered if I could get Windows 95 to boot on it. So, I fired up Virtual Box and an old machine I had and got to work. 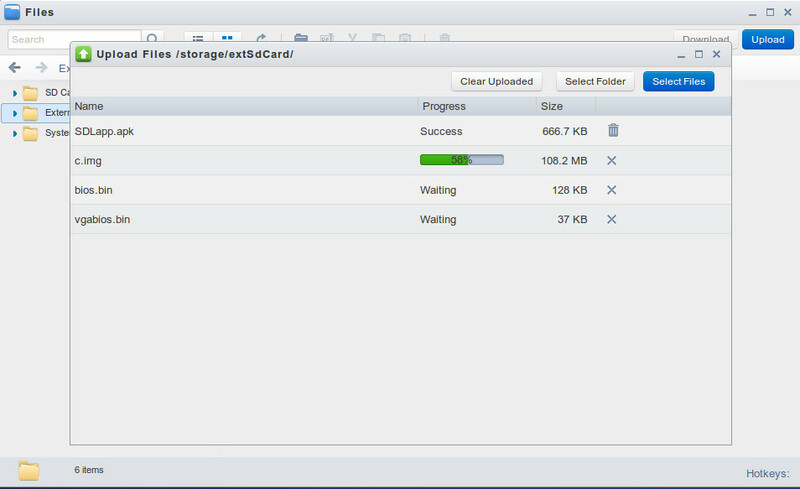 Note: I am using Ubuntu 12.04LTS and a Galaxy Note 10.1 to do this project. Also, I had access to another, older machine with which I could install Windows 95 myself. Your mileage may vary. Install DOS 5.x or better before installing Windows. Install Windows 95 and get it working. Make your image (.IMG) file. 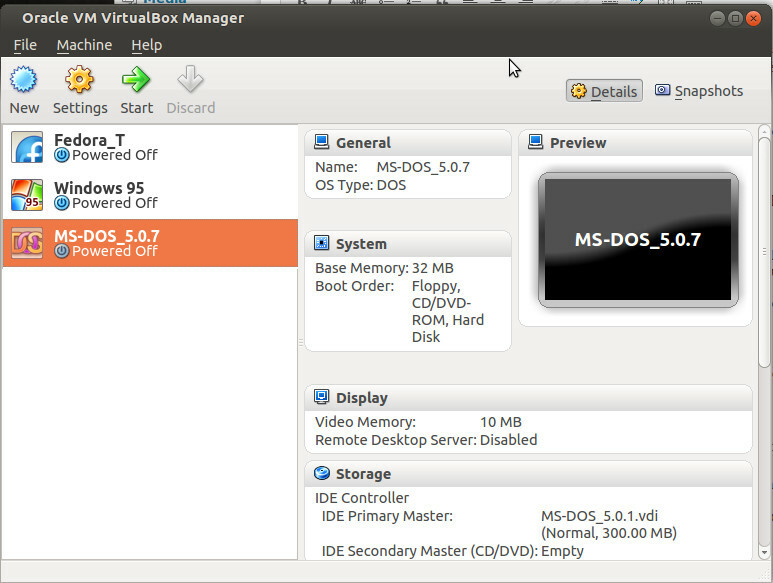 In Virtual Box, you’ll need to set up an MS-DOS environment first and then probably migrate to 95 later. Now, I’ve tried both ways, and they’re both complex. In the first example, using Virtual Box to create a Windows 95 compatible area for the OS to work in is a pain. This is because the Windows 95 disk is not bootable (and neither is Windows 98 for that matter). You have to have DOS 5.x or later installed first and THEN go to Windows 95. This is as much work today as it was back in when Win95 came out. Then, once you have Windows 95 running you need to get all the drivers (and you’ll probably have to use an older version of Virtual Box because of compatibility issues), some of them custom-made, install them, and squash bugs as they come up. This is not the method I recommend, as it is the hardest even with a walk-through, however it may be the easiest for people with limited access to hardware. I had, luckily, a piece of hardware that would run Win95 with minimal effort so I went that route. First, I put I installed MS-DOS 5.0.7 (available legally and for free here) from some image files to actual real-live 720KB disks. Yes, I still have a few of those. Then I set up my CD-ROM*, no small feat, and began the Windows 95 install. 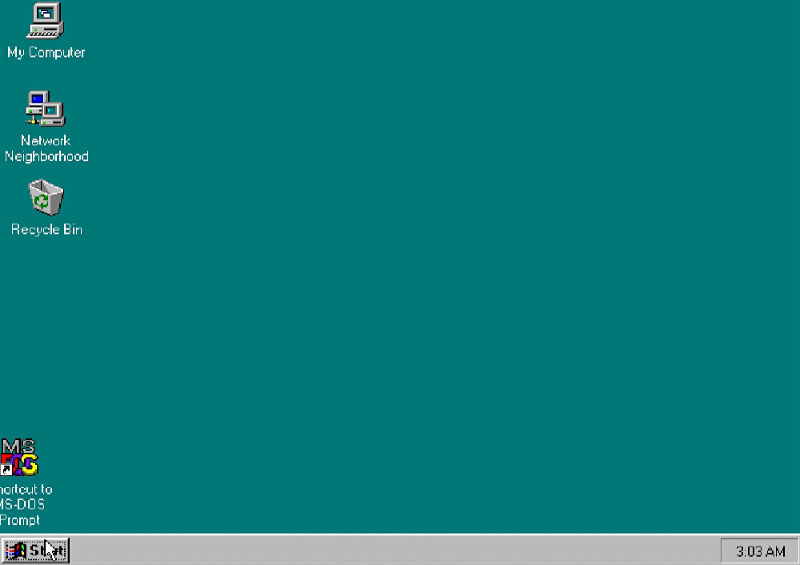 Now I had my Windows 95 image and it was time to get it running on the tablet! There are multiple ways to get Windows to run on your tablet once you have an image you like. I personally went through my version and pulled out all the things I didn’t want so I could create a smaller image. I eventually got the entire thing down to 200MB, but that was with a lot of work. There are also two ways to get the image running on your tablet. There’s the way I did it initially, and then the easy way. I’ll be showing the easy way and then give a brief overview of the more difficult path. You’re also going to want to use something like AirDroid, which I’ve reviewed before, to move the files over because chances are you’re going to be doing this a lot. As you make tweaks or move different things back and forth that GUI is going to come in real handy. After you put in the image location and name, it will need to copy it to the SDLlib’s directory, probably on your internal memory. 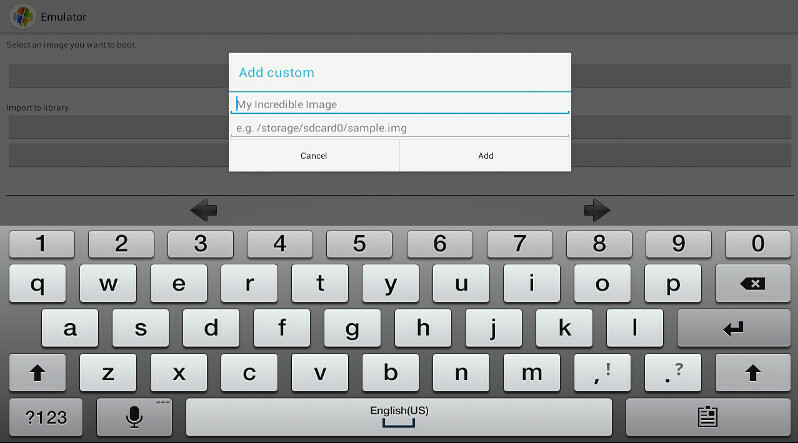 Move your image file over to your device and take note of its location. You’ll probably want to write it down or something, make sure you note the CASE of the letters, because that will be very important. Also you’ll need to make sure you have enough space to copy the image over to the working directory of the emulator that we’re going to use here in a minute. So you’ll need at least twice the space of the original IMG file to use it. Go to the Play Store and find Motioncoding’s Emulator. It looks like an Android with the Windows XP flag colors on it. Download, install and run it. Select the image from My Images and continue to the end. You should see your OS boot. The reason I’m putting the hard way on here is because it gives you a bit more control over your install and, I think at least, runs a bit faster. In any case I’m going to assume that you’re doing it this way because you’re a little more experienced/curious and don’t need me to hold your hand. Copying over the SDL apk and related software. Step one is getting a working version of the SDL apk and installing it. You can do a quick Google search for it, but I’m not sure of the legal ramifications (or its copyright) so I’m not putting a direct link here. Keep in mind that you will need to allow “Apps from Unknown Sources” to be installed on your device. This can usually be found in the “Application Settings” area, depending on your version of Android. Place your Win95 image in the SDL folder with the APK and rename it c.img, and load SDLlib. You may have to do more tweaking at this point as Networking didn’t work out-of-the-box for me. I needed to modify some already existing .bin and .inf files to coax them into doing what I needed to do, and even then it’s a little haphazard. You’ll need to have some method of editing the img file if you can’t get networking going or you’re going to need to re-image the drive every time you want to make a change. This way you’ll also have access to the BIOS and VGABIOS bin files, if needed, but I didn’t end up touching them. My reasons for doing this were purely academic. I just wanted to see if I could get it to boot and get it usable. After several weeks of poking at it I was, by all of the above methods, able to get 95 and 98 going this way. Windows 98 was just a matter of upgrading 95 and creating a new image file. I can’t think of many reasons to do this other than for the learning experience, though there are lots of pieces of software out there that don’t work so well in modern versions of Windows and maybe you want to take them with you. Also, I was able to get my Logitech keyboard/mouse combo to work through the 30-pin charging port, and while dragging the cursor across the screen and “clicking” by tap was interesting, the keyboard is the way to go. It’s just too cumbersome for daily use otherwise. 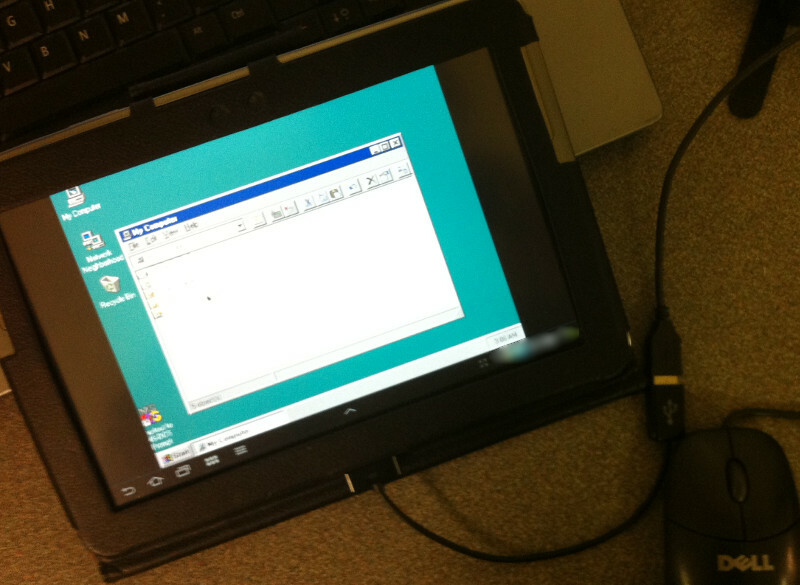 So there it is, an Android tablet booting Windows 95/98! You can supposedly do this with Windows 2000 or XP, but I have not tried. 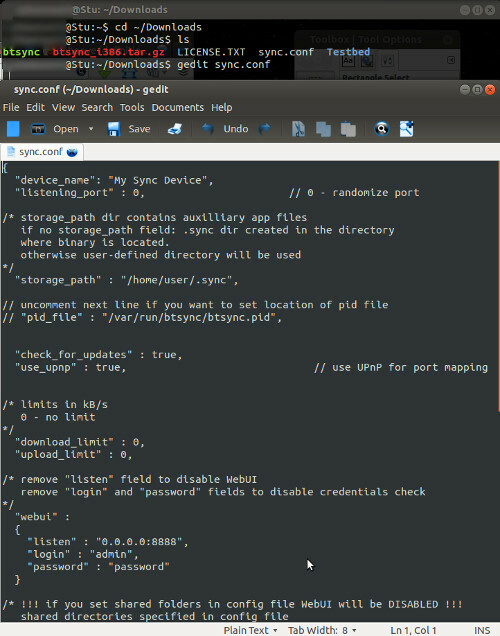 If you have let me know, because I’d be interested in how you got native NTFS to work. *There’s no instruction here because it really depends on your CD-ROM as to how you’d go about this. You’ll have to find one that will work with Win95 and DOS. I had one in the machine already so it was just a matter of setting it up manually through DOS. Recently, I’ve turned my attention to Python, the programming language. I had some work with it in the past, but never really gotten that far. As a hobby, it was time consuming and other things got in the way. Now that I’ve freed up a small chunk of time every week I’ve decided to devote that to working on learning the new Python 3, since 2.x is going away eventually. I quickly found out that Python 3 is not directly supported on my platform of choice: Ubuntu 12.04 LTS. So, I needed to get this running from scratch, which involves downloading, compiling and making it easy to get to for working in. If you haven’t done so already, you’ll need to get a C compiler for Ubuntu. In general, it’s good to keep this resident on your machine anyway, since you don’t always know when you’ll need it and it doesn’t take up a whole lot of space. Then, we’ll need to get our Python installer from the web. I’m currently pointing towards the 3.3.1 version, but there will always be newer versions on the horizon, so check the download page. This will download and the bzip tarball of the source code from the python website. Then, we need to un-ball it and change to the newly created directory. Lastly, we’ll configure the source code, tell it where to install and then point our compiler (the first thing we did) at Python and tell it to put it all together. And now the basic Python core is ready to go. You can test it by putting the following in the command line. A command line-type of person may want to create a symbolic link that will let them have a sort of “python command”. Keep in mind that in the following code, you can substitute the “/bin/python” for anything you want the command to be (ie. “/bin/py” or “/bin/pthn” which will make the command py or pthn respectively). Alternatively, you may want to install a virtual environment for testing or whatnot. To do this and activate it, use this in the command line. 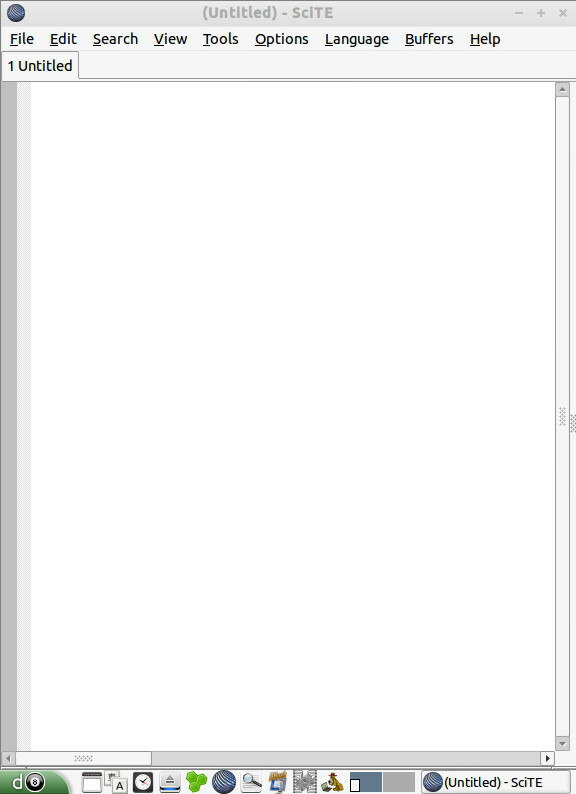 If you’re anything like me, then coding directly from gedit or the like is cumbersome and not really all that fun. I like options, a GUI and all the bells and whistles, so I went looking for a an IDE. Netbeans was the first choice, as I’d used that before for PHP work. Here, I wanted something more dedicated to Python. If you do decide to go this route, make sure that you get the one from the Netbeans website and install it yourself. The version in the Ubuntu Software Center is terribly out of date and judging from the reviews, fatally flawed. 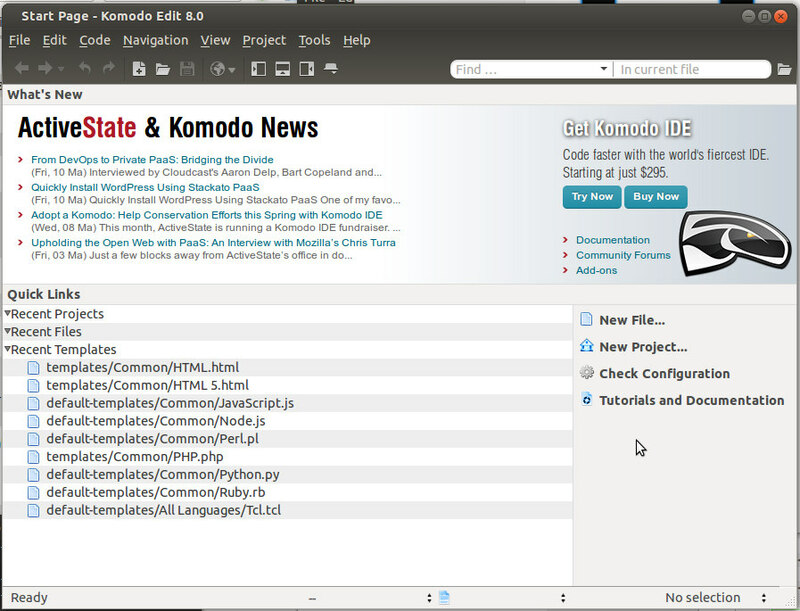 My second choice was KomodoEdit, the stripped down version of the Komodo IDE which I’ve heard some good things about (but never used). You can get it for both x86 and x64 as an AS package from their website. If you have another IDE that you like better, let me know and I’ll take a look at it. I’m always on the hunt for a better/easier way to code. Rinder500 being shared on Zero. A few weeks ago, I had put together a project to turn a few eSATA drives that I had lying around into a few mobile digital vaults. This was a complete success, and gave me a bunch more room to do future projects. However, it did not give me an easy way to access these drives, especially the one attached to my main Windows machine and my laptop. Having to unplug/replug every time was proving cumbersome. So, I decided to make my “mobile” drives a little more permanent, and then just give access to them across a system of three computers via wireless. This would give me 750GB between the machines with which to divvy up as I saw fit. Setting up the 500GB on the Windows 8 machine (Zero) and sharing. 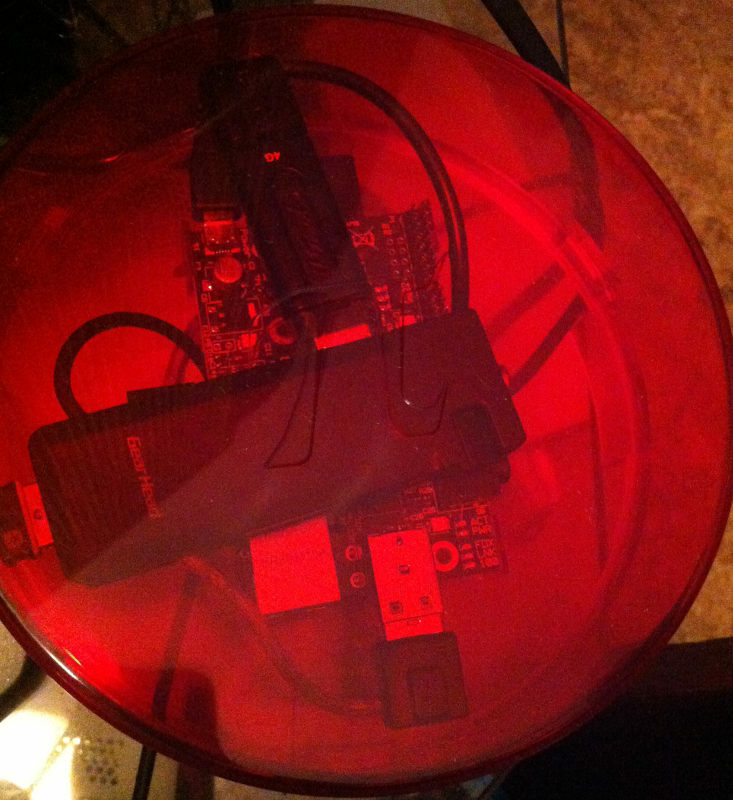 Setting up the 250GB on my Ubuntu File Server (Crusher) and sharing. Connecting a Laptop (Stewart) and Zero and Crusher. 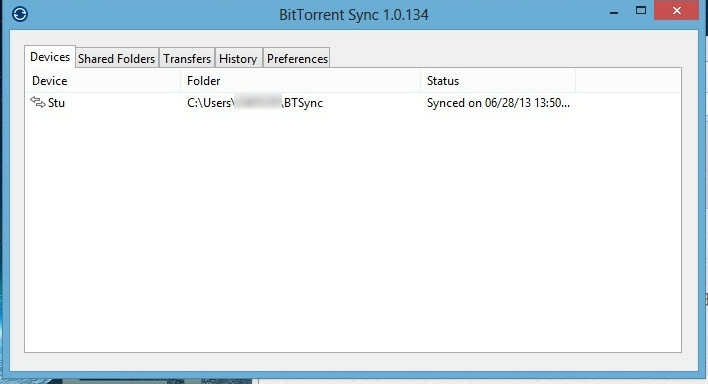 In my scenario I did not need to share to my file server from my Windows 8 machine. There’s no reason for it to access it, if successful, from anything other than Zero or Stewart. So, step one was getting my shares running on Zero. The first thing I did was make sure my networking was all in line. Prior to this, I’d only ever used the Windows 8 computer to connect to the internet, never as part of any network. It had been part of another network previously, but not since the OS was upgraded. In System Properties> Network ID I set it up as part of a Home Computer and gave it the Workgroup “ZRO_WG”. This is so I have an easy way of recognizing this machine on the network uniquely. 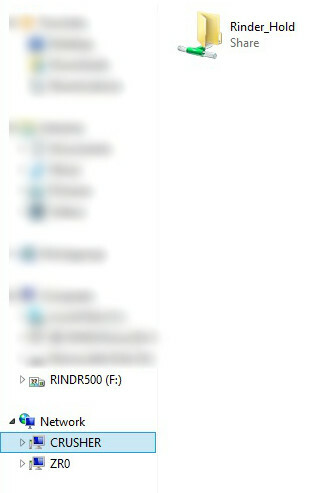 Then, I simply shared the Rinder500 drive and set it to require a password. Even though on Windows 8 your login is an email address, you’re only concerned with the username of the account. So if your account is SomeGuy@Somewhere.com then your user name is most likely going to be just “SomeGuy”. In my advanced sharing options (right-click, Advanced Sharing) I put a comment on the share to easily identify it, required a password and a simple name “rinder500”. In Ubuntu it was almost just as easy. I’m currently running Ubuntu 10.04 Server LTS on my file server, because I’m trying to stay away from Unity as long as I can*, and that’s what was around when I first put this machine together. That should also give you an idea of its age. Keep this in mind as I proceed as some of my methods may not work for new versions or the problems I had may not even be an issue anymore. You can Share a drive on Ubuntu just like you would share any folder, since that’s how they’re treated when mounted. You do this by heading into the drive, in my case /media/Rinder250 and right-click to share. Then, I used the shares-admin command from terminal and added the users I wanted and verified that my shares had been added properly. Shares-admin shows all the users and your shares. Your Workgroup defaults to your machine name, so it was Crusher for the file server. I used a local user (me) as someone with full rights to the share, just to keep it simple. 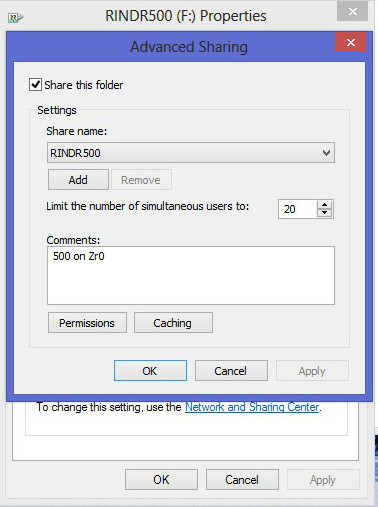 But, you can use this method to add any number of users to the share and give them different permissions if you want. To do any of this however, you will need to install Samba. You will be prompted for it when you try to share, so this isn’t an issue, unless your server isn’t connected to the internet for whatever reason. Now that I had both of the shares created, it was time to link all of them together. I had three machines that I wanted to link together: Zero, Stewart and Crusher. All three had different OS’s and different needs so I’m detailing them individually. Laptop’s (Stewart) view of the network. Zero is the Windows 8 machine and sharing the 500GB eSATA drive. The only one that it needed to link to was Crusher. I scanned the network (by doing the cumbersome task of clicking on the Network) and selecting Crusher.local. Then I put in my username and password for the share and Viola! everything was able to be read from and written to. Note the case of the case of the words, as they are important. The workgroup has to be in upper case and the username and share need to be in lower case. If it isn’t put in exactly as you see here, then it won’t work. 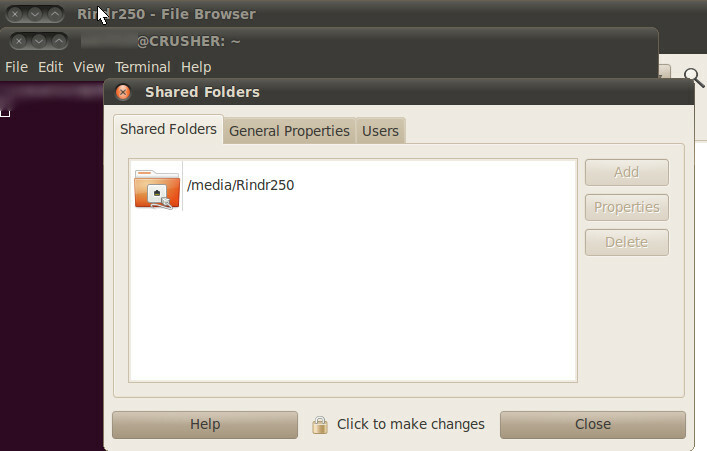 Stewart shared nothing, but needed to access both shares on Crusher and Zero using Ubuntu 12.04. This one was finished just like Ubuntu 10.04 machine, except that I had to put in two shares. Also, instead of an IP for Crusher I was able to put in just crusher.local. Other than that, exactly the same. On the two Ubuntu machines I ended up making bookmarks for them, so I could easily get to them without having to type in that long address every time. If I reboot the server, which is rarely, and I don’t have a static IP assigned, I will need to add the share again and bookmark it again. Now that I have put together these shared drives, I can move or save things to them across the network. I will be using these network drives in the future, when I will attempt to digitize my movie library. *As mentioned, I do have 12.04 on my laptop, Stewart.